The Central Potato Research Station located in the Nilgiris District is known for playing a pivotal role in developing potato varieties resistant to diseases like cyst nematode and early blight. 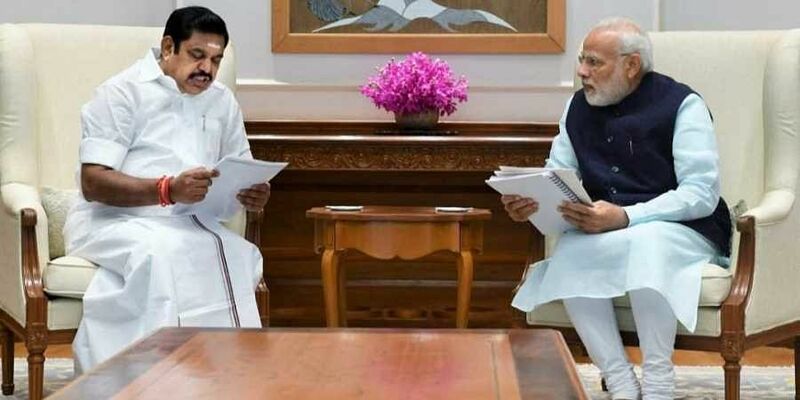 CHENNAI / COIMBATORE: Following Indian Council of Agricultural Research’s (ICAR) decision to close down South India’s only potato research centre, Chief Minister Edappadi K Palaniswami has written to Prime Minister Narendra Modi requesting reconsideration of the central government's decision. The Central Potato Research Station located in the Nilgiris District is known for playing a pivotal role in developing potato varieties resistant to diseases like cyst nematode and early blight. In his letter, Palaniswami said that closure of this centre will have detrimental impact on the interest of potato farmers in Tamil Nadu and in the entire of South India. “If this research station is closed farmers of Tamil Nadu and other southern states have to depend on the Potato Research Station at Jalandhar in Punjab to access disease free planting materials. This will increase the cost of cultivation,” said the letter to Modi, which was released to Press, said. It is said that the decision to close down the centre was taken during a meeting of committee for review of scientific cadre of ICAR held on October 29. The news has already caused much bitterness to the research scientist and staff working in the station. The potato research station is at least the third central institute that is facing adverse impact under the present BJP-led union government. Last year the Centre closed down Government of India Press in Coimbatore district and has not given it fresh printing orders since the employees moved a court and obtained stay to their transfer orders to another printing station in Maharastra. Recently, it has also been decided to reduce the staff strength of the Sugarcane Breeding Institute in Coimbatore. In 2016, the Central government also proposed to move the headquarters of the Chennai-based Central Institute of Plastic Engineering & Technology (CIPET) out of Tamil Nadu. But it was stopped after opposition from the employees. Spread across 45 acres, the potato research station in Nilgiris is equipped with a hi-tech laboratory, seed production and multiplication facilities. “This is one of the two institutes where farmers can get disease-free potato seeds. This centre released India's first nematode resistant variety 'Kufri Swarna' in the year 1985 and this variety is still predominantly grown in many areas across the Nilgiris,” he said. The station is supporting the farmers in the south Indian states since it was established in April 7 1957. Due to its support, it is said that the cultivation area of potatoes increased up to 15,000 hectares in Karnataka, 2,500 hectares in Nilgiris and Kodaikanal and across 1,500 hectares in Kerala. The station has released about five varieties and holding many advanced hybrids having resistance to cyst and late blight in the pipeline. "Meeting held in the presence of Director General of ICAR has also decided to reduce the number of scientists to 87 from the sanctioned strength of 107... Apart from reducing the number of scientists, the government has also decided to attach this station with another station in Shimla," a source told Express. The Nilgiris district is also said to be the only place in the world where potato can be grown in all three season in a year with the possibility of breeding new varieties due to favourable climatic conditions for the flowering of many germplasm lines. "We have been producing 120 tonnes of various cyst resistance seed varieties every year and sending to the farmers across the nation. Closing of this station will negatively impacts the research work and take back the country 10-12 years behind in the area of PCN resistance breeding," sources in the station told Express in wake of the news about the proposed closure of the centre. The ecological and climatic conditions in Nilgiris are also said to be very much conducive for screening and development of cyst and late blight resistant hybrids which are the major hurdles of potato cultivation in the world.